Many educators recommend that kids should read or be read to at least 15 minutes a day. In between school, after school activities, and general family life, it can be difficult to carve out 15 minutes on the sofa for reading only time. In our house, we try to work extra reading time into downtime between activities. That is why I like reading apps for the iPad and iPhone. With reading apps, the kids can read or be read to in the car, during a brother's sports practice or at the breakfast table (in stead of the morning television). In order to get the kids engaged in the reading apps, the stories have to be interesting. In a house of little men, we prefer stories of adventure, sports or even a good battle. 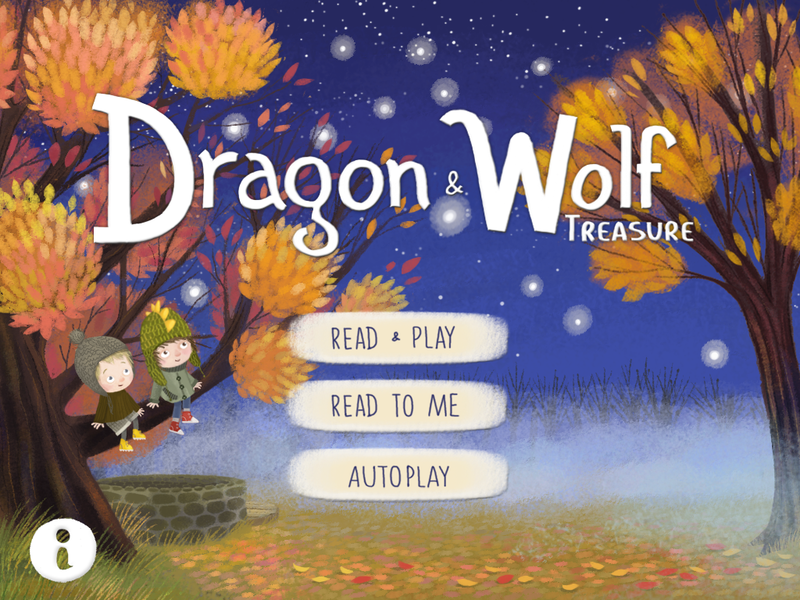 Recently, we downloaded the story app Dragon and Wolf Treasure. The story is about two boys who form a friendship. Each boy has a sense of adventure and exploration. One loves the sea and the other dreams of the stars. Together they learn to appreciate each other's perspective. This story app offers three ways of use. Kids can have the story read to them at their pace, they can read the story, or the story can be continuously played. The story and the animation is easy for the kids to understand. The only downside to this app is that the narrator has a slight accent, which may be difficult for some children. 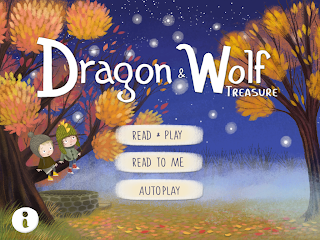 Dragon and Wolf Treasure can be purchased at the app store.